DOLE frozen fruit is a necessity in our house. My boys eat frozen fruit like candy..and it's so good for them too, so I try to keep many packages on hand for all different reasons. We usually have pancakes or muffins in the morning before we start our home school work and I always throw some frozen DOLE berries in them, and usually after school we have a smoothie, and the frozen fruit is always a hit (Dole frozen pineapple pairs really well with kale and helps mask the flavor so even the pickiest kids eat it!). 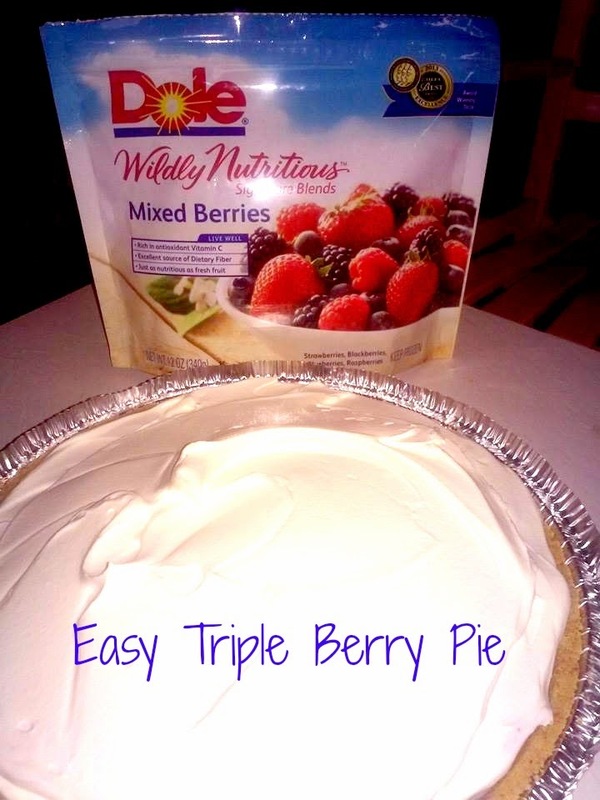 Here is the recipe for my EASY 3 Ingredient Triple Berry Pie. 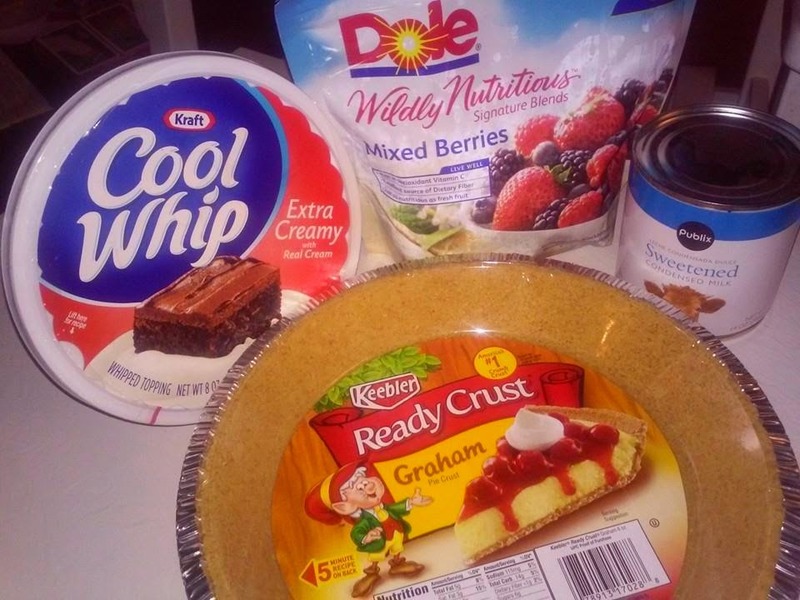 1 premade Graham Cracker Pie Crust. Using a blender, combine the berries (reserve some for garnish) and sweetened condensed milk until the berries are blended into the milk. Then, fold in the Cool Whip (reserve some for garnish). Pour into premade crust and refrigerate for 4 hours. Top with remaining fruit and Cool Whip and ENJOY!